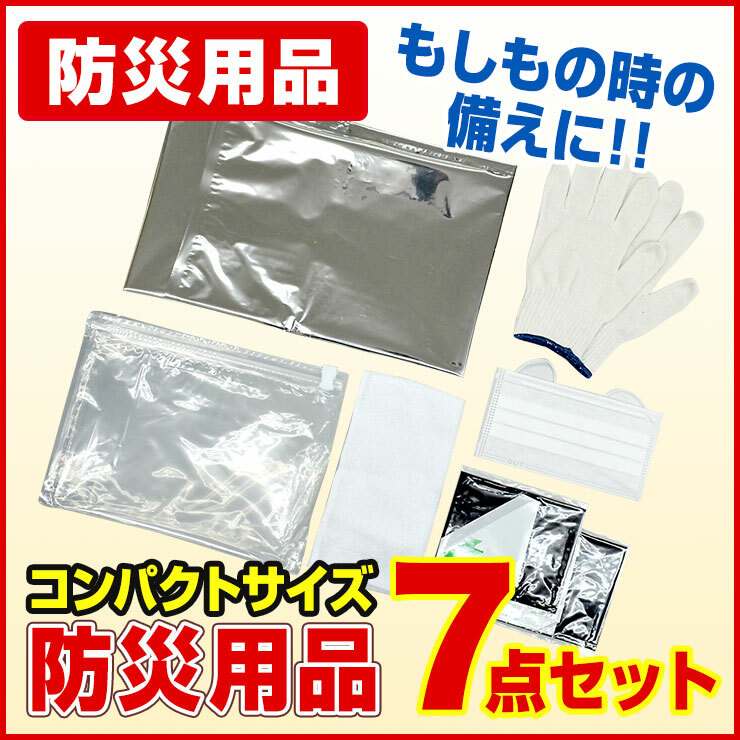 It is affordable emergency kit. Diving in the sleeping bag and close mouth fear of suffocation. 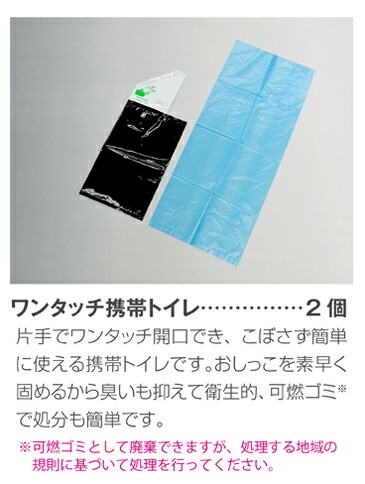 So could respiratory face bag outside, please use. * Is a large bag children and went inside and there is risk of suffocation. Also, if children are to use always use with an adult. 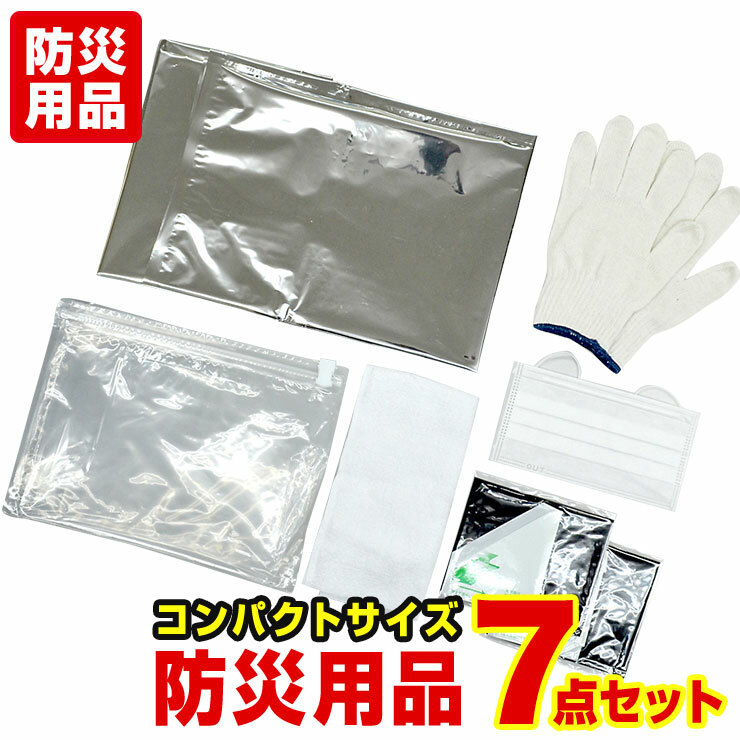 * Depends on usage such as insulation, waterproof, moisture-proof. * Chuck parts do not bend at an acute angle. * May not fully closed when you leak air Chuck. Again again closed from slider. * Intended use do not. * When you use your child please witness parents. 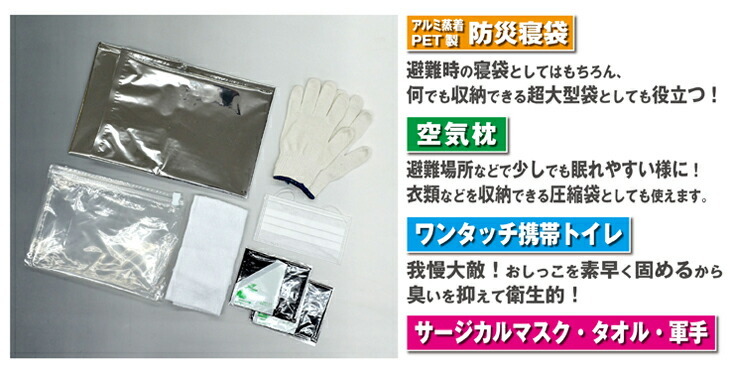 * Water absorption polymer adhered to the skin rinse thoroughly with water. 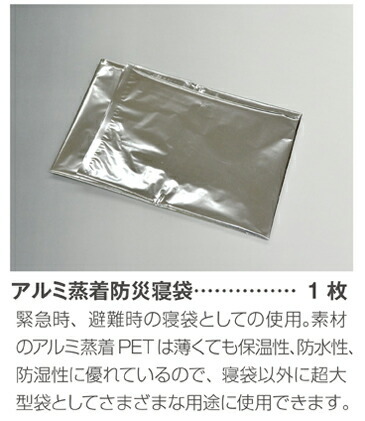 Water proteosavetmss no toxic and irritating but not eat. Case, if you put it in the mouth or the eyes promptly consult a doctor. * By Constitution and condition in urine is abnormal, clumping may. 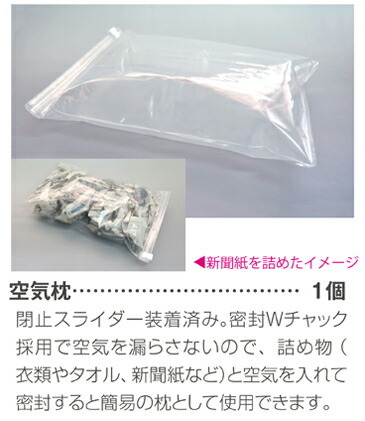 * Do offers disposed as burnable garbage after use, but the process of rule-based. 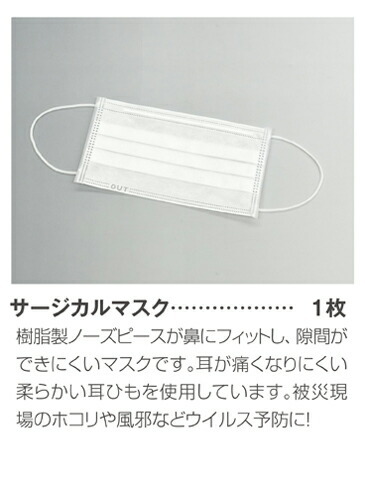 This product is a disposable mask. 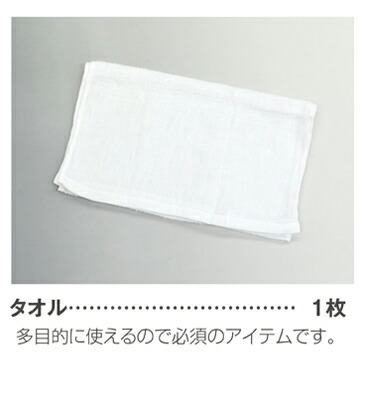 Cannot be reused by washing. Do not use objective to prevent a harmful dusts, gases, etc..
* Do not use the electrical work may result in electric shock. * Please note enough in dealing with Bali sharp cutlery, glass, metal, etc. 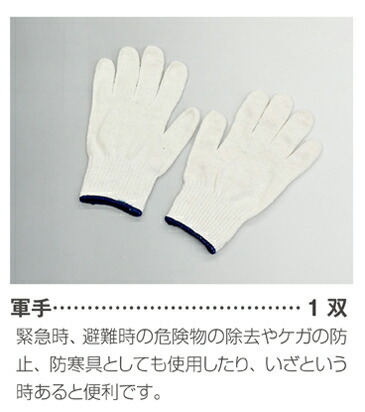 may injure the hands or gloves. * Keep away from fire and high temperatures. 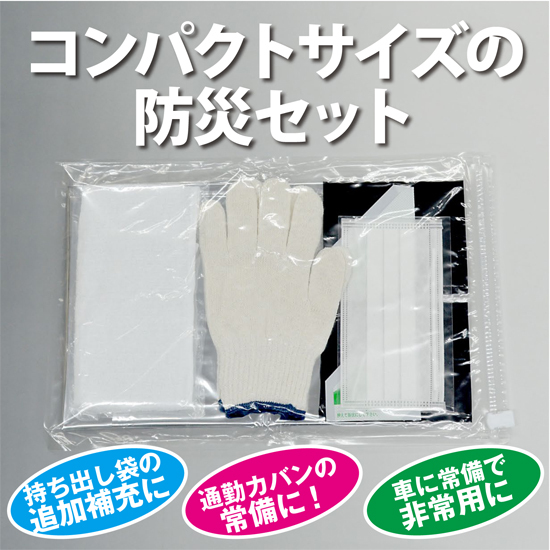 * Avoid direct sunshine, high temperature and humidity, and keep at room temperature. * Keep the Center beyond the reach of small children. By the Constitution, itching, rash, sores, causes redness, rash, etc.. Discontinue use when you feel abnormal, please consult your doctor.